It all started with the Facebook post of Stand-up comedian Abijit Ganguly, who accused Kapil of stealing one of his jokes. It won't be wrong if we say that Kapil Sharma and bad news go hand in hand. 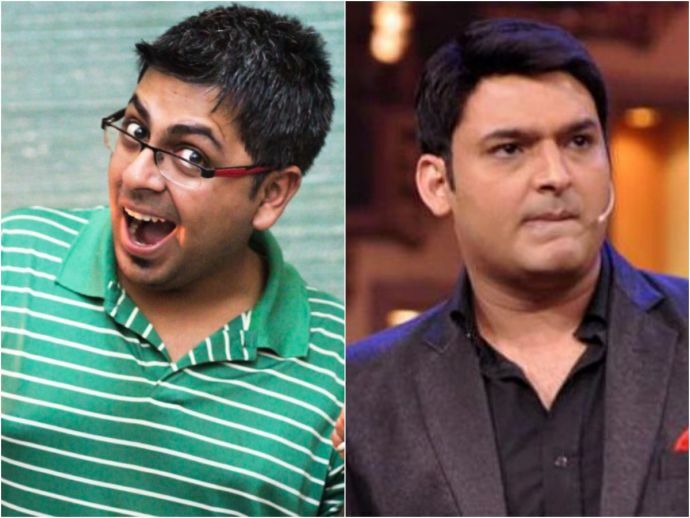 Since the rift between him and Sunil Grover came to light, Kapil has been the talk of the town. Yesterday, ‘The Kapil Sharma Show’ completed 100 episodes. The guest on the show were the members of Indian women cricket team. But this is not the only reason why he is in the news today. It all started with the facebook post of stand-up comedian Abijit Ganguly, who accused Kapil of stealing one of his jokes. According to Ganguly, The act that Kikoo Sharma did on India’s fast bowlers and their elder brothers has been lifted from Ganguly’s joke. The Kapil Sharma show clip is below. The act concerned is at (52:15). Now, we are not blaming anyone but the fact that Ganguly has been doing that bit for about three years now and was released on Youtube before the 100th episode was shot raises many questions.